I am often asked, “How do I make a travel itinerary that will allow me to make the most of my trip in a given city?”. 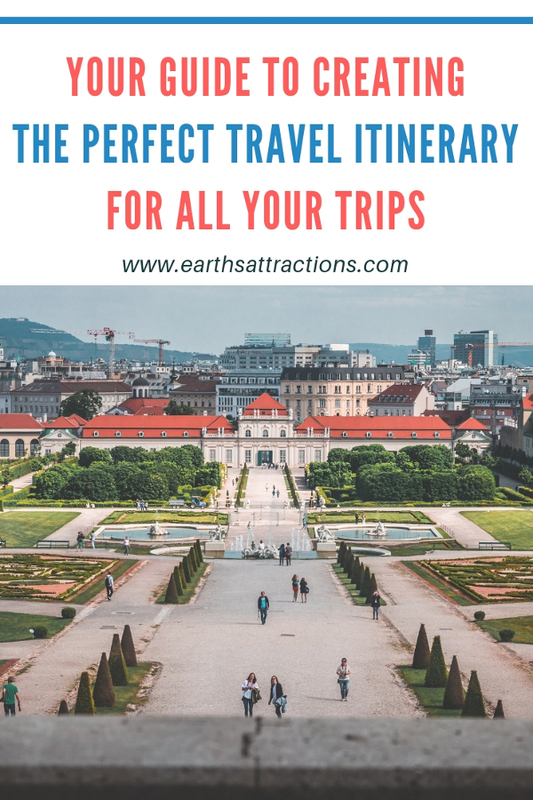 If you are also looking for a vacation itinerary that you can create once and use every time, for all your trips, then this guide to creating the perfect travel itinerary is your solution. 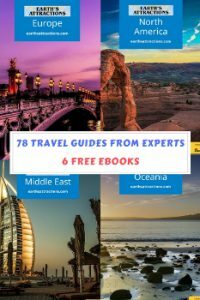 Based on my travels – and on my husband’s business trips – this is a comprehensive guide with useful trip planning tips that will show you exactly how to create the best travel itinerary for all your trips. This article will show you how to create a travel itinerary software free (if you don’t want to use apps). I will also give you some examples of travel itineraries – plus, you’ll have the checklist that you can copy and paste in a document and use for all your travels. This is my end goal for this article: to provide you with all the information you need to create a travel itinerary template that you can use for each trip you take, whether it is business travel or leisure. Creating a travel itinerary seems hard. But, as I’ll show you, it can be really easy and fast done! And you’ll have fun planning your trip! More than that, by the end of this article, you’ll know exactly how to make a travel itinerary template that you can use for any trip, vacation or weekend getaway you’ll decide to take! What does travel itinerary mean? First of all, let’s clarify what is a travel itinerary. Simply said, it’s a schedule for your trip. This also includes your transportation and accommodation details (flights/tickets/hotel/car rental/etc). Apart from these elements, a travel itinerary also has a list of the places you want to visit grouped by day. In this manner, you know what you’ll be able to visit, how long can you spend in a place – in order to see everything you want when visiting a city. 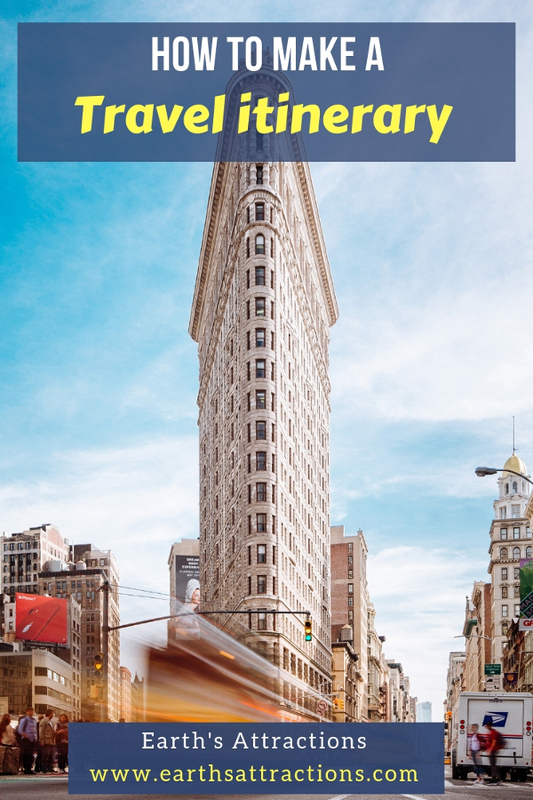 So, if you only have 3 days in New York City, for example, you’ll want to decide where you want to go and prioritize what attractions you want to see. You’ll include them on the list in order to minimize the time spent getting from one place to another. If you are wondering “when do I need a travel itinerary?”, then you need to take in consideration a few elements. You need to figure out what type of traveler you are. This step is very important, as this shapes how your travel itinerary will look. If you don’t visit art museums, for instance, there aren’t many chances that you’ll suddenly change. So, the best thing to do is to not include visits to art museums on your itinerary. This means that you can decide to admire the architecture of the building – so a stroll in the area – but, in terms of time, you won’t spend too much there as you won’t get inside. Also, it’s very important to acknowledge if you are a slow traveler or a fast one. Do you like to visit less – but more thoroughly – or you want to include as many things as possible on your travel list? Again, your existing preferences won’t change much on your next trip. You can take into consideration making exceptions! For instance, maybe you don’t like museums at all (except from the architectural point of view), but you hear about an interesting open-air museum. This may be something that could attract you and you can decide that you want to include that on your travel bucket list for the city you are visiting. 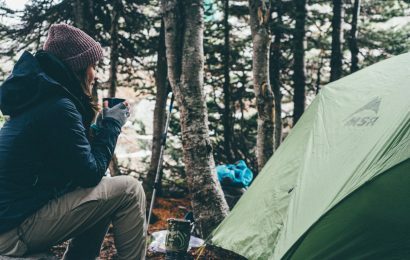 Finally, you also have to take a look at your past trips and see if you prefer to just wander – to decide in the morning where you want to go, without a route in mind – or if you prefer to have it all planned out. You can also have just a few points – meaning 1-2 major attractions you want to visit in one day – and leave some time for other gems you might discover in the area – or just to walk around a bit. When I took a trip to the Apuseni Mountains in Romania, I had 1-2 major attractions per day included on my list. I knew how long it would take us to get from one place to another, so, even if we saw a few more interesting places to visit here, we left them for a later visit. In Paris, however, apart from visiting the famous Paris landmarks, I also had some time to wander around some neighborhoods. We did the same in Mannheim, Germany. In conclusion, if you need a bit of a structure for your trip, a travel itinerary will help you not to miss the major places that you want to visit. Also, if you don’t have a lot of time to spend in a given city and you don’t know when or even if you’ll be able to get back, an itinerary will help you optimise your trip. So, why is an itinerary important? The answer to this may vary from one person to another. For me, the reason why it’s important to have a trip itinerary is to make sure I manage to visit all the places that I want to see. I admit of having a more relaxed structure (I’ll talk more about how to organise a travel itinerary below). This means that I have some guidelines included – like the main sights I want to see each day. But I also have some time to wander around. I don’t always go for specific restaurants – sometimes this is just going with the flow and taking a break when I need one. So you see, a travel itinerary doesn’t have to be rigid. You can create a vacation trip planner as detailed as you want – making it super detailed, or more relaxed. There is no wrong choice from this point of view. Having a customized travel itinerary is more about optimising time. For instance, you don’t want to go from one point of the city to another, spending hours in traffic, when you could group the attractions. In this manner, the vacation itinerary helps you save time and money – as you won’t waste more time than necessary going from one attraction to another and you will be able to optimise your transportation costs as well. Yes, creating a perfect travel itinerary is budget friendly in more ways than one. Apart from saving you money on transportation, if you do your research (what to see, opening times, free days to visit, etc. ), you may discover that you can go to a given museum, for example, for free, on one day of the week/month. If you create an itinerary for your vacation, you’ll also be able to schedule your sightseeing better. For example, you can find out the usual time the attractions close (it’s 6 PM in most countries in Europe), but discover that there may be a television tower (like Donauturm – Danube Tower in Vienna – LINK) or that some landmarks are open until later – as the famous Eiffel Tower is – LINK ARTCOL CU VIZITA. In this manner, you get to see more in the same amount of time – or to discover how the city looks both during the day and night. Creating a travel itinerary also helps you choose the perfect length of your trip. This is a different approach. So far, we talked about creating an itinerary for a determined period of time – meaning you know you only have 2 or 7 days in city X – or one day in Bucharest. But, if your budget and time frame are more flexible, then you could see what that city or area has to offer, decide what you want to visit, and see how much time you’d need – and then book the trip. In this case, the travel itinerary comes first and it actually helps you better plan your trip. It’s time to get down to business and to help you create your perfect travel itinerary for all your trips. Yes, it’s that simple! It only seems complicated as, when you add the data, your itinerary will seem longer. But, in fact, it’s a guide. Moreover, if you plan on taking some long guided tours (1, 2, 3 days), then you just note tour with X company + details (where you need to be and at what time) and you know that they take care of the rest. You also need to write any specific requests the company may have (clothing, supplies – drinks, snacks -, accessories – sunglasses – that sort of things). You can go as in-depth as you want. You can also add, for instance, an estimated budget – taking on consideration admission tickets, spare money for souvenirs, how much would the local transportation, etc. I admit I write down these elements before planning a trip. I know what’s my available travel budget, I choose 1-3 places I’d like to visit, create an itinerary with costs (accommodation, transportation, shopping, visits, etc.) and see which of these 3 places fits the allocated budget. If they all do, then I just pick the one that lures me the most – obviously, I’m oversimplifying things, as I also take in consideration my husband’s and son’s opinions, the fact that we have a dog, etc. But you get the idea. It takes me around half a day for this initial travel itinerary preparation, but it’s a lot of help. I also believe in having an emergency fund for my travels for unexpected expenses. I prefer to return home with money rather than needing some and not having the means to pay for something (and I’m not talking about luxury shopping here). If you want another travel itinerary example, take a look at the 3 days in Toulouse, France article. In fact, check this search and see more detailed itineraries for – Kuala Lumpur, Quebec, Delhi, Valencia, and the list of travel itineraries to inspire you keeps growing:) ). These are the essential steps to creating a travel itinerary. The list shows you what to include on your travel itinerary so that you can have a bigger perspective on your trip. Planning each day – mapping the attractions in order to maximise time and expenditure. You can use an app (Google maps for instance) to see the distances and calculate the best route. Here you’ll add the planned stops and special reservations (if any) – for instance, guided tours purchased in advance. After that, you’ll create your packing list – based on your research and destination :). The important thing is to make the most of your visit, no matter where you go. Here’s how I created a few of my travel itineraries. This was a domestic trip for me. 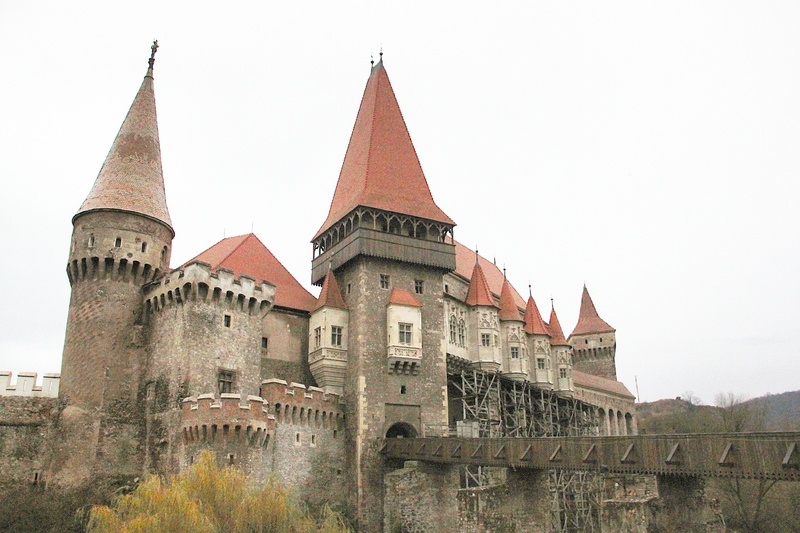 I had a fixed budget – and I looked at Salzburg, Austria and the Apuseni Mountains, Romania. I looked at accommodation (we were traveling by car), calculated the car fuel + taxes, added the fees for visiting different attractions and decided to go on vacation in Romania. The next step was to see what we could do. We chose the lodging and then chose 1-2 major attractions per day. I also left a day off – just to stay on the balcony and listen to the river that was running below – and reading and taking some walks during the day. I knew that we’d had breakfast where we were staying and that they also had a restaurant (so whenever we’d want lunch or dinner here, it’ll be covered). I didn’t care much about special restaurants along the way – so I just included those major attractions – and left some room for new, interesting places we’d discover along the way. In this manner, even if we visited Alba Iulia during the week, we learned that during the weekend there’s a special ceremony, the changing of the guard and rising the flag like in the old times, with cannons and everything so we wanted to see it and made sure we were there on Saturday at 10.30 AM. We visited many cities – and had a great time! 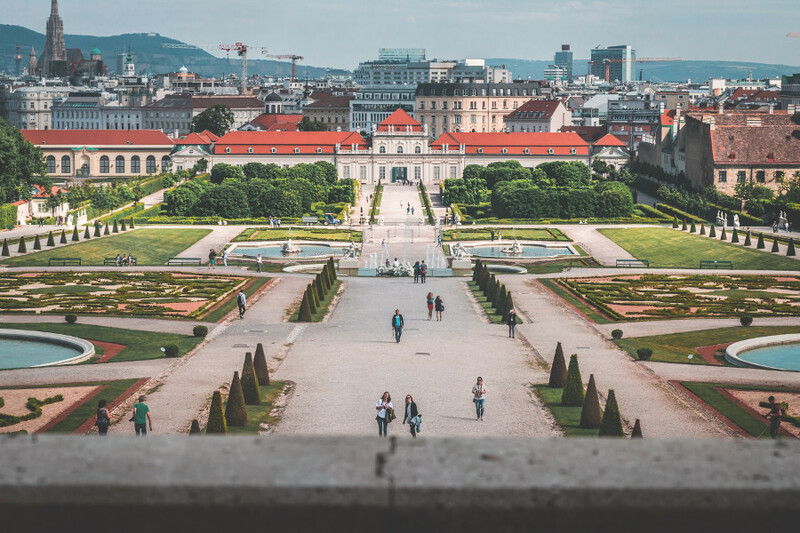 The itineraries for Paris, Brno, and Vienna – to give you a few more examples, were created in the same manner. I planned some shopping on Monday in Vienna along with a few other activities (I knew everything will be closed) – while in Paris I went sightseeing a bit, without entering anywhere. 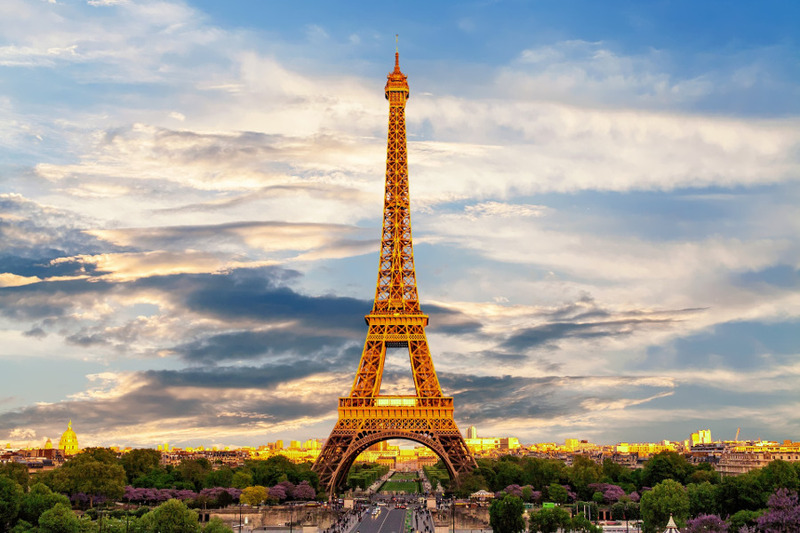 I’d plan each day based on my restrictions – in Paris I was going after my knee surgery so I included fewer sights to see per day – and sitting down in a train/metro was actually helping me as I needed breaks. So, if you are wondering what does a travel itinerary look like, as you’ve seen in the examples above, it’s not really that complicated. When you start to plan your holiday, you gather all the relevant information. This will become a longer or shorter list depending on your destination – you may need a visa, vaccines, special clothes or gear, etc. All is listed so that when you get to packing checklist you don’t miss a thing! Day 1: 8 AM – breakfast at..
Make sure you have your vacation plan with you – either in an electronic format or in a printed one. I prefer to have it on my email – easy access, I can download it on my phone if I need, no matter where I am. As a tip, I download it before leaving from home – so that I minimize internet costs abroad. Also, if you use a map – or one of the travel apps that create itineraries based on what you want to visit or that suggest pre-created travel itineraries to you – it’s easy to have them already on your phone when on the road. Remember to include all the relevant details and requirements on your vacation checklist so that you don’t forget anything important at home. As I mentioned, I prefer to include the travel details – bookings – in a separate document – and have them all on an email (a personal one, on my server). In the itinerary, I include only what I plan on seeing each day – again while leaving some spare time. Deciding how many things to include in a day may also depend on how likely it is for you to return there. If you know you’ll visit that city again soon, then you don’t need to see it all now. You can create a relaxed travel itinerary, knowing that you’ll be able to cover other places to visit in a later trip. At the same time, if it’s a place you’ve recently visited, then you may just focus on off the beaten path things to see – if you’ve seen the main attractions. Maybe try something new – like going to more cafes/a fun place. Also, when planning your trip and deciding if you can create your own tour or use a tour guide, then take into consideration how much are you enjoying creating an itinerary. If you like to create it, fine, but if it’s a burden and don’t know too much about the place – or don’t have time to find out what is there to see and do – then using a guided tour may be a better option. If there are too many attractions in a city, in order for you to be able to choose the best ones for you, try to read some online articles – bloggers or people sharing their experiences. Even a printed travel guide may help… You’ll see photos, tips, and discover useful information for your visit. You can also read some reviews. But leave some room to be surprised as well! Plus, take in consideration your own preferences – if you’ll have to choose from 5 art museums, see which one has the most artists that appeal to you. Remember to create your travel schedule taking in consideration as well the best times to visit. This means knowing in what season/month you want to visit – if it’s a special holiday, or a specific festival is also important as this means you’ll need to book ahead of time and the prices will be higher. Mind the schedule of the tourist attractions – as mentioned above, many have days with free admission or days with an extended program. Be flexible – and leave some spare time for things you may discover on the spot. 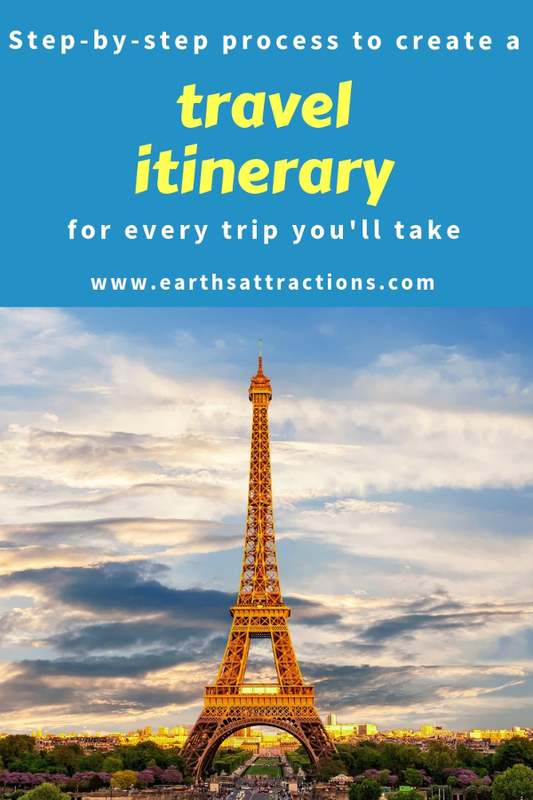 Another important recommendation on this list of tips for crafting a travel itinerary is to be realistic – if you truly want to enjoy the treasures inside the Louvre, then you shouldn’t book 2 hours for visiting it! Book more like a day (I can tell you, even this is not enough, you could spend weeks here). You can learn about wonderful places to include in your travel itinerary from many people: the receptionist, your taxi driver, people staying at your hotel, or the person bringing you the coffee. All you need, sometimes, is to ask or to really listen when people are talking about their city. We learned about a spot with fossilised snails on a rock wall from the coordinator of a group of school kids staying at the same place we were. Now you have all the information you need to create your travel itineraries with ease and really fast. 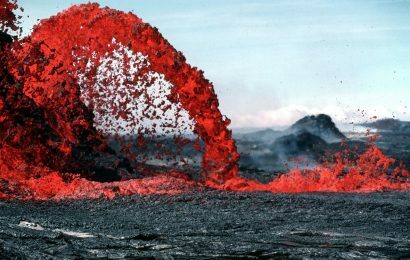 I hope that these trip planning tips will help you see this stage as a fun one. For me, it’s always filled with excitement: choosing where to go and what to see and do and knowing that it’ll be a place I wanted to visit, that my family wants to go to and that we’ll all have a great time. 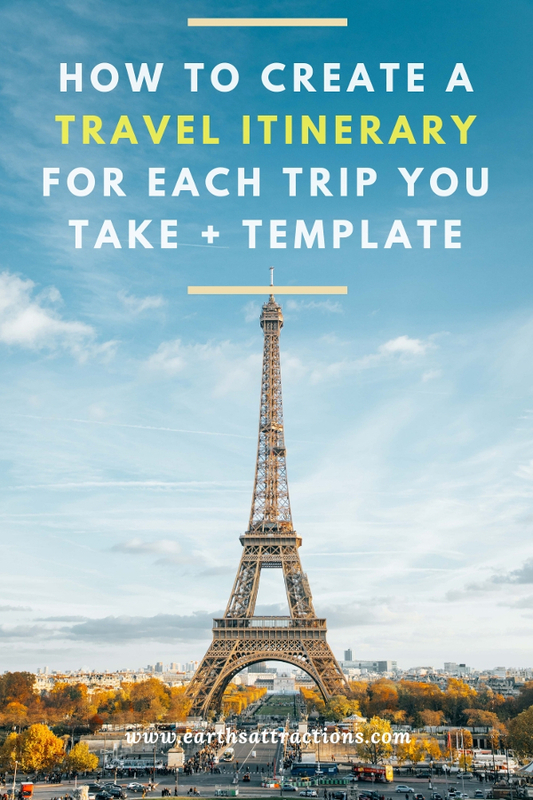 I discovered that planning my trips helps me have a memorable time every time – that is why having a travel itinerary template that you can use for your every trip definitely comes in handy. Use the data above – and think of your past experience: what worked and what would you like to improve when you go on vacation? How could vacation planning be smoother for you? What did you feel was missing in your last travel itinerary? – and use all of these details and create your perfect travel itinerary template. Make it as simple or as detailed as you want to – and I wish you great travels every single time! Thanks for this helpful article. You are super organised! My husband hates being organised by me so I have a schedule in my head and sometimes it works and sometimes it doesn’t Before I go though I plan everything out and will subtly drop into conversation that I’d heard about a lovely bakery we could go to. We also like to wander randomly and discover Uncharted things so you are right it’s about planning for your own personality types. What a useful piece! This is such a great resource for travel planning and knowing how to structure the relevant info. Saving this for sure! You make it sound so easy…. in theory I know all that. In reality I often end up reading my travel guide during the flight or realise after the trip which things I’ve missed. And every time I promise myself, next time I’d be more organised. Fingers crossed, five more weeks until my next big trip. Time to get planning, might actually give your guide a try. Yes, we always make an itinerary for all our trips. After filling in all the logistical details, we brainstorm the activities and then see how much we can fit in. Thanks for sharing such great insights into how you plan your itineraries, that’s really hands-on and useful!